Available now, in all formats! 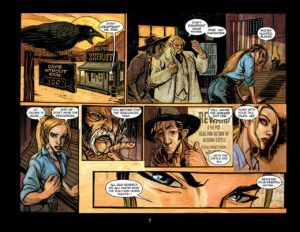 When former Pinkerton detective Matthew MacGregor rides into the town of Blest, you can almost hear the Ennio Morricone soundtrack and taste the grit of blowing sand in my mouth. Okay, maybe not, but the tone of this book captures that of the old westerns I was watching as kid. In the character of MacGregor, you’ll find most of the best traits carried by the Western heroes of old… just none that may have come from under a white hat. MacGregor isn’t the squeaky clean, shoot the guns out of their hands, kind of hero. He’s more the knock their teeth down their throat and stomp their skulls sort. Oh, and he’s a werewolf. 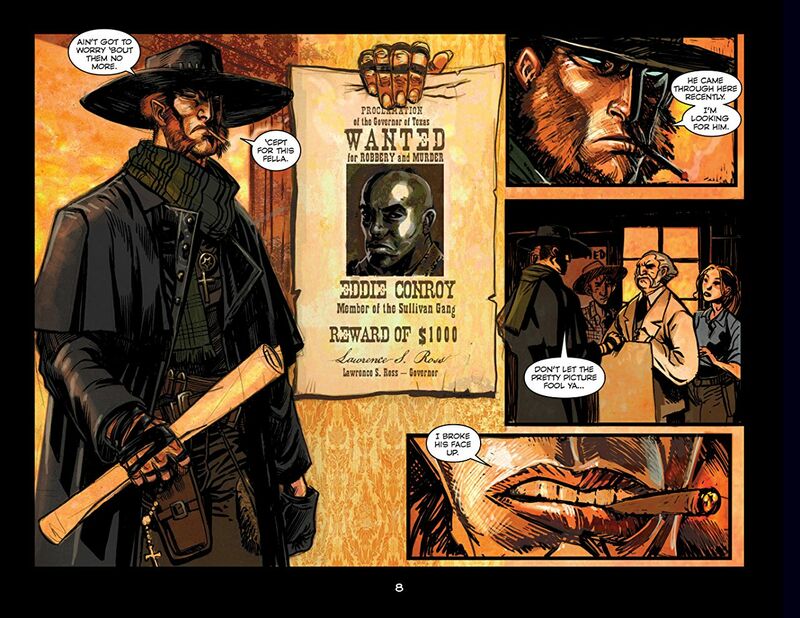 All in all, it doesn’t look good for the guy he’s hunting, an outlaw by the name of Conroy. 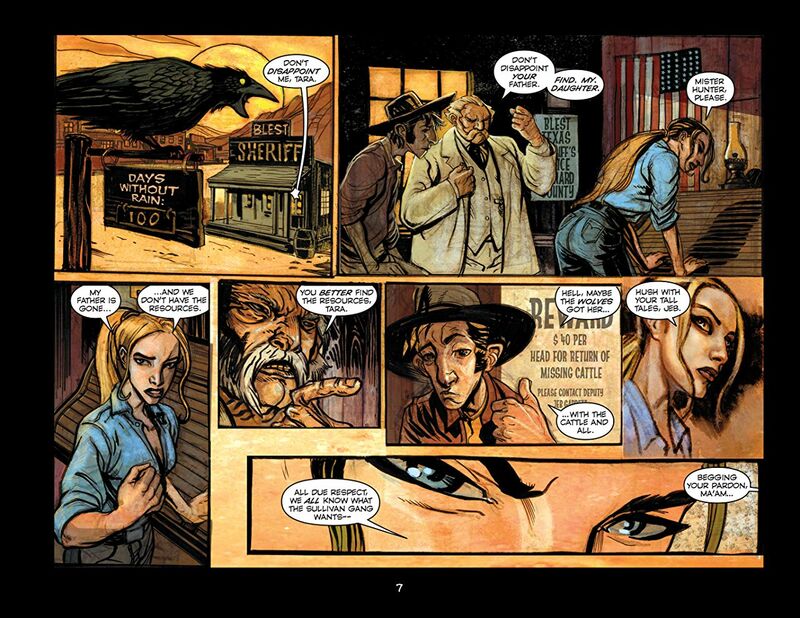 I’m a huge fan of the “Weird West” genre, an offshoot of the Urban Fantasy that’s set in… take a guess… yup, the Wild West. 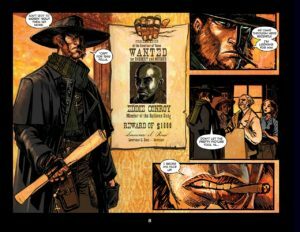 A few comic titles that have nailed the theme with interesting characters and gritty violence are The Sixth Gun (Oni Press), and the classic Jonah Hex (DC Comics). 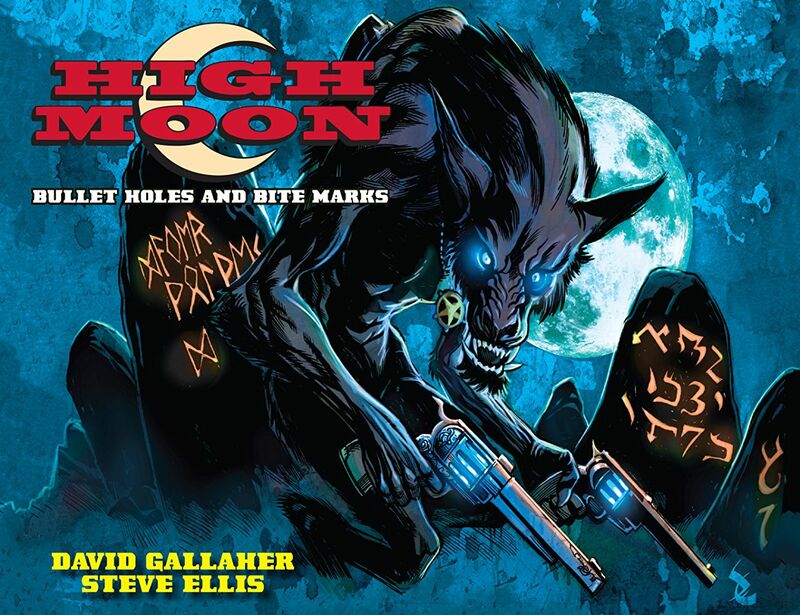 In High Moon, the creative team of Gallaher and Ellis (Box 13, & The Only Living Boy) are able to tap into an underutilized theme in a market full of vampires, zombies, and brooding superheroes. Originally put out as a web comic, High Moon is now coming back into the spotlight with a three volume re-release scheduled. For anyone who’s already read High Moon, this is great news because from what I understand, volume three is going to pick up the story where volume two’s cliffhanger left off. Not only will you be able to lay claim to a very well put together physical copy of a great book, but you’ll finally be able to lay all of your questions to rest. 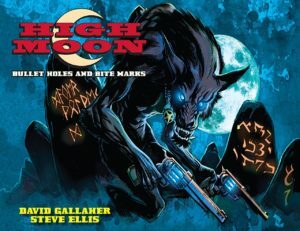 At least, your questions about High Moon… pretty sure Gallaher and Ellis aren’t tackling anything more existential than that right now. Thanks to the ever awesome David Gallaher, I’ve already got my complimentary copy, and I have to say that I couldn’t have been more impressed. In hardcover, the book comes in a very slick looking slip case that shows off more of the sharp artwork from Steve Ellis, in a landscape style format. Having originally picked the first book up through ComiXology (which, by the way, really is a dangerous rabbit hole to let yourself fall into), getting my grubby hands on this new hardcover was like an early Christmas present. 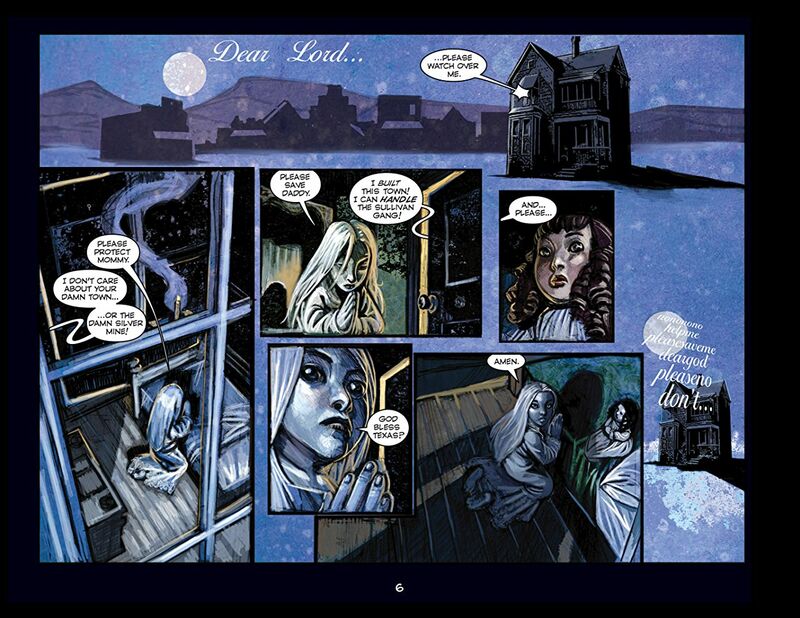 Gallaher and Ellis seem determined to mine every possible story genre in the course of their careers, and always manage to bring a distinctive style to whatever it is they’re doing. If you’re looking for visceral action laid out in a classic Western tale with a twist of horror, look no farther than High Moon. Not sure you want to make the investment? Take a look at the first story arc, still available in its original web series format. No risk, with the potential for reward in the form of some entertaining storytelling. How can you top that?